Dr. John Barbour combines the benefits of excellent surgical training with a caring and thoughtful approach to his patients. He previously served as the Director of the Peripheral Nerve Surgery Institute at Georgetown University Hospital and as an Assistant Professor of Plastic Surgery, and earned an adjunct appointment as Assistant Professor of Neurosurgery at the Georgetown University School of Medicine. Dr. Barbour is a triple board-certified plastic surgeon serving the national capital/Washington, DC area. 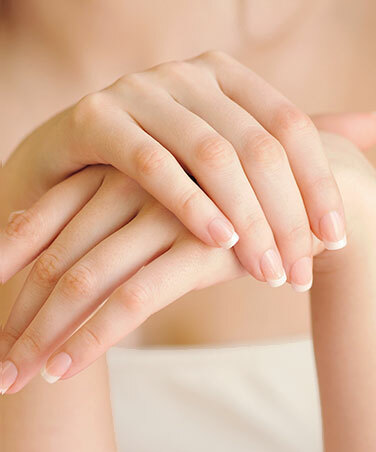 Dr Barbour is board-certified by both the American Board of Plastic Surgery and the American Board of Surgery with additional sub-certification in surgery of the hand. He has specialized fellowship training in both hand surgery and microvascular surgery, and specializes in complex nerve surgery, breast reconstruction and microsurgery. Raised in a family of well-respected physicians, Dr. Barbour is native to the Washington, DC area. He is a proud graduate from Yorktown Senior High School in Arlington, Virginia and The University of Virginia, where he majored in the science of psychology and graduated with high distinction. After college, Dr. Barbour attended the Georgetown University School of Medicine and soon developed an interest both in reconstructive surgery and microsurgery. These interests initiated in medical school continued throughout both of his residencies; first in general surgery followed by plastic surgery, both at the Medical University of South Carolina in Charleston. After finishing his formal training in plastic surgery in 2011, Dr. Barbour spent significant amounts of time working closely with many of the world’s top surgeons in advanced microsurgery, breast reconstruction, and nerve surgery. This included training in perforator flap breast reconstruction while in Charleston, South Carolina and fellowship training in hand surgery, microsurgery, and complex nerve reconstruction with Dr. Susan Mackinnon in Saint Louis, Missouri. Dr. Barbour has lectured nationally and internationally on various plastic surgery topics, including complex nerve reconstruction and outcomes in perforator flap breast reconstruction at leading scientific meetings. He has been an invited speaker to discuss his surgical research at the annual meetings of the American College of Surgeons, the American Society of Plastic Surgeons, the American Society of Reconstructive Microsurgery, the American Society of Peripheral Nerve, the Southeastern Society of Plastic Surgeons and the Midwestern Association of Plastic Surgeons and is considered a leader among his peers. Dr. Barbour is among a group of pioneers in the fields of nerve reconstruction and multi-disciplinary treatment of cancer-related and trauma-related defects. Dr. Barbour has been at the forefront of treating post-surgical nerve pain and treatment of extremity paralysis with nerve transfer techniques. He is among a select group of surgeons who specialize in the surgical management of lymphedema, and works closely with the National Rehabilitation Hospital physicians and therapists to provide multi-disciplinary care. 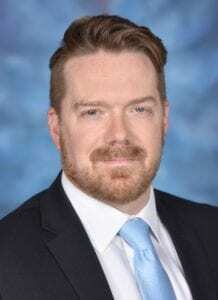 Dr. Barbour has received multiple teaching awards as both a Chief Resident and faculty member and has been honored by the American College of Surgeons as an exemplary teacher. He is a member of multiple national societies and serves as a reviewer for several peer-reviewed medical journals including Plastic and Reconstructive Surgery and the Journal of Hand Surgery. He has authored over 11 textbook chapters, and has published over 40 manuscripts across a wide variety of microsurgical and reconstructive topics. Dr. Barbour was a member of the full time Georgetown University faculty for the plastic surgery residency program from 2012-2016. He also served as the Acting-Section Chief of Plastic Surgery at the Washington DC Veterans Administrations Medical Center. 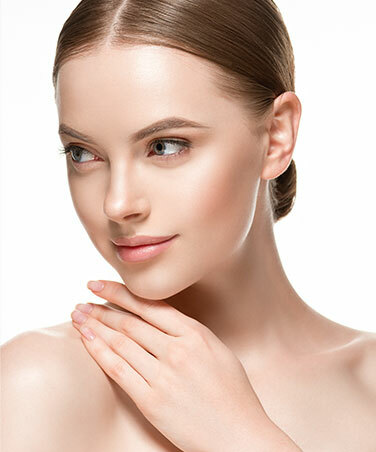 Dr. John Barbour is an internationally known and respected plastic and reconstructive surgeon who performs a range of aesthetic and functional procedures. His extensive work as a peripheral nerve and hand surgeon has helped him become an authority on procedures such as hand reconstruction, nerve compression syndromes and nerve tumors. Among a select group of other peripheral nerve surgeons, Dr. Barbour is recognized as a leader in the concept of muscle reinnervation, a revolutionary concept that can transform the lives of peripheral nerve injury, spinal cord injury, and extremity amputee patients. Dr. John Barbour combines the benefits of excellent surgical training with a caring and thoughtful approach to his patients. He previously served as the Director of the Peripheral Nerve Surgery Institute at Georgetown University Hospital and as an Assistant Professor of Plastic Surgery, and earned an adjunct appointment as Assistant Professor of Neurosurgery at the Georgetown University School of Medicine. Dr. Barbour is a triple board-certified plastic surgeon serving the national capital/Washington, DC area. Dr. Barbour is board-certified by both the American Board of Plastic Surgery and the American Board of Surgery with additional sub-certification in surgery of the hand. He has specialized fellowship training in both hand surgery and microvascular surgery, and specializes in complex nerve surgery, breast reconstruction and microsurgery. Disclaimer: The information on this website is provided solely for educational and informational purposes. Nothing on this site is intended to constitute medical advice, consultation, recommendation, diagnosis or treatment. Health Care Providers: Your use of this Site does not constitute a consultation with The Center for Restorative Nerve Surgery, Barbour Plastic Surgery, LLC, The INOVA Peripheral Nerve Institute, or Dr. Barbour. The website is not meant to serve as a substitute for your own clinical judgment as a healthcare professional. You should exercise your professional judgment in evaluating any information on this website and confirm the information made available with other sources before undertaking any treatment based on it. The website is not intended to set any standard of care. Individuals Interested in Healthcare Services: Your use of this Site does not create a doctor-patient or treatment relationship with The Center for Restorative Nerve Surgery, Barbour Plastic Surgery, LLC, The INOVA Peripheral Nerve Institute, or Dr. Barbour. You should not rely on any information on the website as professional medical advice or use it to replace any relationship with your physician or qualified healthcare professional. For medical concerns, you should always consult your physician, or in serious cases, seek immediate assistance from emergency personnel.